Yes, we all know that it’s better to play games at higher frame rates, since they give us more responsive controls and better reaction windows. But players have discovered that the benefits to playing Fortnite and PUBG at higher fps counts go much further than that – better performance means you can get bullets out faster than your opponents. Players have been doing tests on the issue for months, going back to a Fortnite: Save the World fire rate test on Reddit. YouTuber WackyJacky101 put out a video on PUBG fire rates this week, more Reddit posts broke things down in greater detail, DrLupo tested things in Fortnite Battle Royale, and Digital Foundry did similar testing at a variety of frame rates. In short, the tests have been thorough. Since the issue is common between PUBG and Fortnite, it seems to be a quirk of the Unreal Engine, which both games run on. Generally, higher frame rates mean higher fire rates. 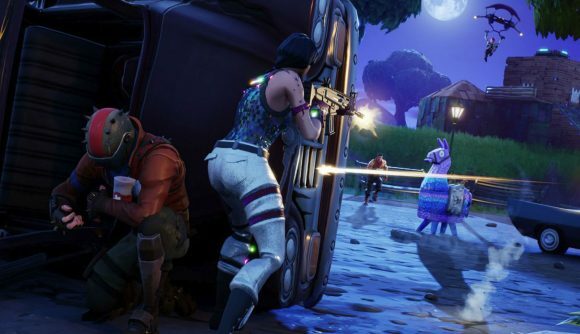 That’s an especially big problem for Fortnite’s full cross-play setup, since 30fps targets on Switch and mobile are being pitted against 60fps on other consoles and potentially much higher numbers on PC. But that’s not the full story, as MutuTutu on Reddit breaks down, at least as it relates to PUBG. The suggestion here is that it’s not just about how high your frame rate is – instead, it’s about how your frame rate syncs with your fire rate. If the rate of your bullets divides smoothly into your frame rate, they’ll come out more smoothly and consistently. Some players are going so far as to set up macros to adjust their frame rates mid-game based on what weapon they’re wielding. The official Fortnite Twitter responded to DrLupo’s tweet to say “We’re aware of this issue and are investigating a fix for it.” Assuming the nature of the problem is indeed common to the Unreal Engine, hopefully this means Epic is able to get it fixed at a fundamental level. But without confirmation of exactly what’s going on, it might be awhile before we see a fix.